FULFILLED in part…will be multiple events. I have heard or read of others who have repeated dreams from the Lord, but this had never happened to me…until this morning. This morning I awoke from a really strange night vision, and what was even more strange was that when I would go back to sleep I would see the exact same thing again. I did this at least three or four times. I’ve seen parts of my dreams or visions repeated, but I have never awoke and gone back to sleep repeatedly and had the exact same dream or vision repeat itself. This is what I saw. There was a box that I opened and inside it were these very unusual shaped hard-back bugs. They were black and their backs were round like half of a marble and flat on the bottom. There were about twenty of these bugs in the bottom of this box that was about the size of a shoe box. All of them were jet black and crawling around. The troubling part was that as soon as I opened the box I knew that they were very dangerous–that they were very deadly–even flesh-eating–and they would multiply rapidly. I had trouble closing the lid and realized that the box had been torn–making it hard to close it and seal it shut. I would awake at this part of the vision, and as I lie there thinking on it I would drift back to sleep and go back to this one part of the vision where I was holding the box. It was as if I needed to go back and somehow fix this–to be sure that these bugs didn’t escape–but was never able to. Each time that I went back to sleep, I would go straight back into the dreamlike vision and would see the bugs again. I strongly sensed that they were a great danger to mankind and wondered where they came from and how they got here. I sensed that there was no way to stop them from getting out and spreading and killing people here in America. After doing this about four times, I was finally able to get fully awake and get up. This vision stayed on my mind. I wondered if the Lord was trying to show me something by repeatedly taking me back to that one part. I documented the vision and prayed over it. The only thing I sensed was that there is going to be some sort of virus or super-“bug”, or possibly some sort of biological warfare, unleashed in America. I remember on 9/11 when the Lord said, “It’s not over. This is just the beginning.”, that immediately I sensed He was speaking of chemical or biological warfare. This made me think of that again. That I saw this dream/vision repeatedly warns me of what has happened in other dreams and visions that have been fulfilled where seeing something repeated or multiples of a threat resulted in actual multiple attacks–such as on 911 and also the 7/7 London bombings. Whether this is bio warfare or deemed uncontrollable outbreaks, the Lord warning of this repeatedly lets us know that the occurrences and types of pestilences will escalate. Regardless of the things to come, we are to keep our eyes and our hearts upon Jesus, the author and finisher of our faith. For it is in HIM that we live and move and have our being. He alone sustains us. He alone gives us peace. According to the Israeli diplomats cited in the Yediot report, they were told that if Israel does not comply with Clinton’s request to apologize to Turkey, the White House may suddenly find itself unable to continue building opposition to a unilateral Palestinian declaration of statehood at the UN next month. Antibiotic-resistant gonorrhea, a diarrhea-causing superbug and a class of fast-growing killer bacteria dubbed a “nightmare” were classified as urgent public-health threats in the United States on Monday. The following headline and link is an NBC report. I couldn’t help but notice that they are calling it a “Super Bug”. I found the following article on WND very interesting and relevant to this post. Over the past couple of months there has been two distinct events that has brought this vision to mind. The first was the massive migration of thousands of illegal children flooding across our southern border who have been proven to be bringing diseases with them that have been virtually eradicated from the United States. The second, the record-breaking deadly Ebola outbreak in Africa that has become a threat to our nation. With both of these I could see the diseases (the bugs) being brought here as if in containers (the children dispersed all across the U.S. via planes and buses, and those carrying the Ebola virus via planes…thus the “box” in my vision that the bugs kept getting out of). It has been realized that President Obama created the environment for the flood of children from Central and South America to flood across our border, and this administration has refused to do anything to stop it. At the same time that President Obama is proving his allegiance to Hamas’ terrorist regime by demanding our ally, Israel, to cease all its offensive in the war on Gaza (which only came due to Hamas’ relentless attacks on Israel), the Ebola virus threat has been revealed. Watch and pray, for God (Yehovah) continues to bring judgment upon our nation. Considering I just posted an update concerning this just two days ago, this article comes as strong confirmation to not only the dream, but also to what I have been sensing. The following are excerpts from the WND article along with the link. I highly recommend you read it in its entirety. Ebola. Chikungunya. Dengue. Norovirus. Hantavirus. Swine flu. Varicella. Variola. The names sound like something out of a sci-fi movie. Yet, threats to Americans are real, and escalating by the week. …DHS, reported on Aug. 1 that serious diseases are spreading at detention centers for Illegal border crossers. Health-care workers and Border Patrol agents, plus their children, have tested positive for tuberculosis (TB), swine flu, chicken pox, lice and scabies. Instead of being quarantined, illegal border crossers are being dispersed rapidly across the U.S., with those of school age being registered in public schools opening soon for all. Ebola’s use as a weapon of terror and mass destruction has been documented…the former Soviet Union biological weapons program had weaponized the Ebola virus…Aum Shinrikyo, the Japanese terror group, recently sent members to Africa to harvest the virus during an outbreak. If risk is so low for the U.S., why is the CDC quietly setting up Ebola Quarantine Centers in 20 cities across the U.S.? Why did the Congressional Record report that Ebola bio kits have been deployed to National Guard units in all 50 states? And yet another confirmation. Less than twenty-four hours ago, another SEER, Penny, whose YOUTUBE channel is under the title “NotzrimWoman”, posted a video titled “MARV” describing a word from the LORD where He spoke the word MARV to her. Upon researching this word (of which I also researched extensively) she saw that this is the official abbreviation of a hemorrhagic fever virus named the Marburg Virus–so named after the German town where it was first discovered in 1967. The connection I see to my dream is not only that this rare disease is much like the deadly Ebola that has just recently become an international threat, but that the former Soviet Union had an extensive biological weapons program that included MARV, and since the collapse of the Soviet Union they have continued their quest to weaponize the deadly Marburg Virus. The Soviet Union had an extensive offensive and defensive biological weapons program that included MARV. At least three Soviet research institutes had MARV research programs during offensive times: the Virology Center of the Scientific-Research Institute for Microbiology in Zagorsk (today Sergiev Posad), the Scientific-Production Association “Vektor” (today the State Research Center of Virology and Biotechnology “Vektor”) in Koltsovo, and the Irkutsk Scientific-Research Anti-Plague Institute of Siberia and the Far East inIrkutsk. As most performed research was highly classified, it remains unclear how successful the MARV program was. However, Soviet defector Ken Alibek claimed that a weapon filled with MARV was tested at the Stepnogorsk Scientific Experimental and Production Base in Stepnogorsk, Kazakh Soviet Socialist Republic (today Kazakhstan),suggesting that the development of a MARV biological weapon had reached advanced stages. Independent confirmation for this claim is lacking. At least one laboratory accident with MARV, resulting in the death of Koltsovo researcher Nikolai Ustinov, occurred during offensive times in the Soviet Union and was first described in detail by Alibek.After the collapse of the Soviet Union, MARV research continued in all three institutes. I trust what Penny sees and hears from the LORD. Though we do not know each other personally, this is not the first time the LORD has confirmed through her what His Spirit has revealed to me. Considering how our relations with Russia has rapidly deteriorated over the course of the past few months, I believe we should pay close attention to what the LORD is saying to us in this hour. There is a very informative article by “Capitol Hill Cubans” revealing how the “Cold War” has risen from the ashes and our old enemies are too close for comfort . This administrations high-ranking leaders have scoffed, and while debating Mitt Romney in his re-election campaign, this president made sport that Romney would even suggest that Russia was a threat to the U.S. The LORD gave me this dream three years ago in June 2011. As you have read in these updates, it has been confirmed repeatedly over the past three years and has been confirmed yet again. Although He did not call what I saw “super bugs”, that is what came to me for the title of the post and the dream. The colloquial term “super bug” refers to a pathogen that has become resistant to multiple antibiotics/drugs. Such pathogens are being tested for use in biological warfare along with other deadly viruses such as Ebola and MARV–viruses with a 90% kill rate that scientists have failed to develop a vaccine or discover the cure for–viruses this nation is woefully indefensible of. As I mentioned in posting the dream above, it brought back to mind the attacks of 9/11. As I watched the attacks and cried out in repentance for the sins of our nation and the sins of our fathers, the Lord spoke to me and said, “It’s not over. This is just the beginning.” Immediately, I sensed strongly that America would be attacked with chemical or biological weapons in the future. With each judgment, Almighty God, Yahweh, is calling us to repentance. Will you repent and seek the LORD with all your heart, mind and strength, or will you simply scoff at such as this as have our foolish and arrogant leaders? The choice is yours. Ebola was brought to the U.S. via air travel because President Obama refuses to seal the borders to those traveling from nations where the Ebola epidemic is the largest in history. And now, he is raising the threat level for the U.S. even more dramatically by ordering 4,000 U.S. troops to go into the Ebola hot zone to build treatment facilities. Though all precautionary measures were in place at the Dallas hospital where an infected patient who flew here from Liberia was being treated, those measures did not stop the spread of the deadly virus to a healthcare worker here in the U.S. Also, with all our advanced medical resources made available to this Liberian man once the virus manifest…he still died from the disease. The deadly Ebola virus has been contracted by someone inside the United States for the first time. A nurse who had worn protective gear during her “extensive contact” at a Dallas hospital with an Ebola patient who died tested positive during a preliminary blood test, officials said Sunday. The woman had on a gown, gloves, mask and a shield during her multiple visits with Thomas Eric Duncan, but there was a breach in protocol, health officials said. The patient is a nurse at Texas Health Presbyterian Hospital in Dallas, an official who is familiar with the case told CNN. The Centers for Disease Control and Prevention in Atlanta conducted testing on the blood sample, and confirmed the results Sunday, marking the first known transmission of Ebola in the United States and the second diagnosis in the country. The Dallas hospital staff had everything they needed and maximum conditions to contain this virus, yet it was still spread. Just imagine how much LESS than adequate the conditions are for our military personnel in the affected areas of Africa where thousands are infected and thousands have died. Because this virus is being transported here via airplanes, I couldn’t help but associate the plane with the rectangular box that contained the deadly bugs in my night vision. Just like in my vision, over and over again, once the box was opened, there was no containing the deadly bugs, there was no stopping them from escaping to do their harm. Once on American soil and the planes open their doors, and the infected person/persons enter the populace, there is no putting Ebola back in the box. Walid Shoebat has a very informative article concerning the rapid spread of Ebola HERE. So why take such risks? I just couldn’t wrap my head around these decisions being made by our government. That is, not until I read this article from WND: Military’s Ebola Mission: Edge Out China in Africa? PRAY for wisdom for our nations leadership. REPENT and pray for the mercy of Almighty God on the United States of America. Just before I awoke this morning I was shown someone’s hand holding U.S. dollar bills and was given the revelation that Ebola could be transmitted through our currency. A couple of hours later I thought of doing a search on the internet to see if there were any findings or research concerning this. The first hit on the list was an article on the Daily Independent website that was not uploaded until today. Here is an excerpt. Fears that Ebola Virus Disease (EVD) could be transmitted by exchange of paper currencies may not be completely wrong, as scientists have found that paper currency and coins may be a public health risk, especially when associated with the simultaneous handling of food. Although it has not been established that Ebola virus could be transmitted through handling of bank notes, researchers have said it could help in the spread of infections within the hospital. The researchers, including those from Université de la Méditerranée, Faculty of Medicine and Pharmacy, France, Special Infectious Agents Unit, King Fahd Medical Research Center, King Abdulaziz University, Jeddah and Department of Laboratory Medicine, Faculty of Applied Medical Science, Umm Al-Qura University, Makkah, Saudi Arabia particularly noted that banknotes recovered from hospitals may be highly contaminated by infectious bacteria like Staphylococcus aureus, while Salmonella species, Escherichia coli (which cause gastro enteric disorders) are commonly isolated from banknotes from food outlets. Laboratory simulations from the team has also revealed that methicillin-resistant Staphylococcus aureus can easily survive on coins, whwhile E. coli, Salmonella species and viruses, including human influenza virus, Norovirus, Rhinovirus, hepatitis A virus, and Rotavirus, can be transmitted through hand contact. However, they say, on the large-scale, 16S rRNA, metagenomic studies and culturomics could dramatically expand the known diversity of bacteria and viruses on money. In Nigeria, the fear that the deadly Ebola virus, which recently broke out in the country, could be transmitted by paper money is rife. A team of researchers from the departments of Biochemistry and Microbiology, Ebonyi State University, Abakaliki, had, in a recent work published in International Journal of Advanced Biological Research, isolated and identified some disease-causing microorganisms on Nigerian currency notes obtained from bankers, beggars, market women and bus conductors in Lagos, Onitsha, Enugu and Abakaliki. 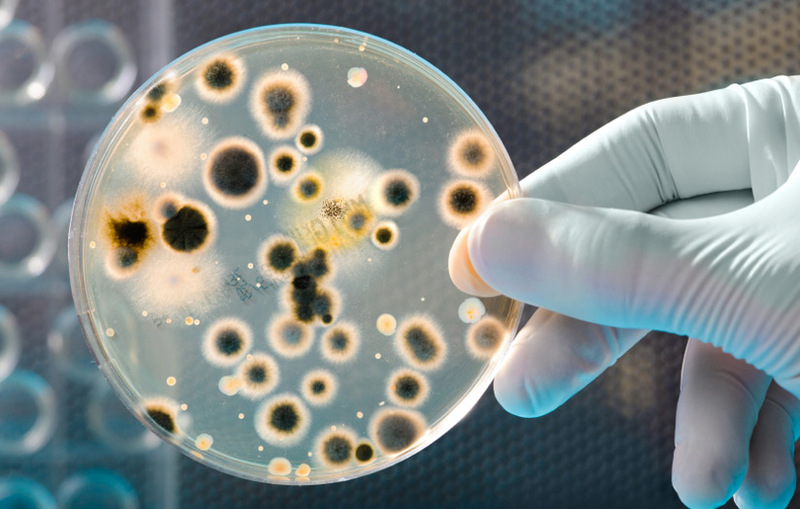 From the samples analysed, they found plethora of bacteria including Staphylococcus aureus and some fungi that are capable of causing diseases in man. They found that the currencies used by beggers were extremely contaminated with various disease causing microorganisms followed by the currency used by hawkers and market women, advising that adequate care must be taken by those handling these currencies.